You need flash to view this menu. A warm welcome is extended by everyone at Nazeing Common Cricket Club. Established in 1883, we are a friendly club running two sides on a Saturday and two sides on a Sunday. We play regular mid-week fixtures, and have a thriving colts section. 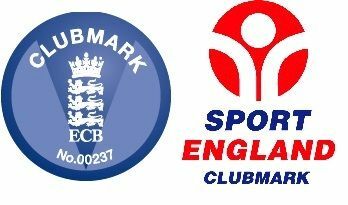 We are a Sport England and ECB Clubmark qualified club. Our ground is in the middle of the countryside, and is only used for cricket - the boundary is the farmer's field. With a fully-equipped clubhouse, four nets, great facilities for junior cricket and a safe environment for children, Nazeing Common is an ideal place to play and watch cricket. We wish to promote cricket as a sport for all, and to this end we provide separate changing facilities for women. We are pleased to be able to accommodate players of all ages and standards, and our selection policy is geared towards ensuring players get to play in games appropriate for their ability. The two regular adult sides on a Saturday play in the Herts and Essex Cricket League, but on a Sunday we play friendly cricket – and while we always try to ensure we have competitive matches, there is a bit more room to enable everyone to have the chance to contribute with either the bat or ball. For our juniors, we have teams in leagues at under 10, 11, 13, and 15 level, as well as arranging friendlies, and are particularly keen to have girls as well as boys playing cricket. If you would like to play for Nazeing Common, arrange a fixture against one of our teams, or just come and watch a game of cricket in a friendly environment, we look forward to hearing from you. We welcome all players of all ages and standards - this is friendly club with the emphasis on fun and enjoyment. We also welcome non-playing members. Please note that all children (from the age of 5 upwards) will be coached by qualified, DBS vetted coaches.